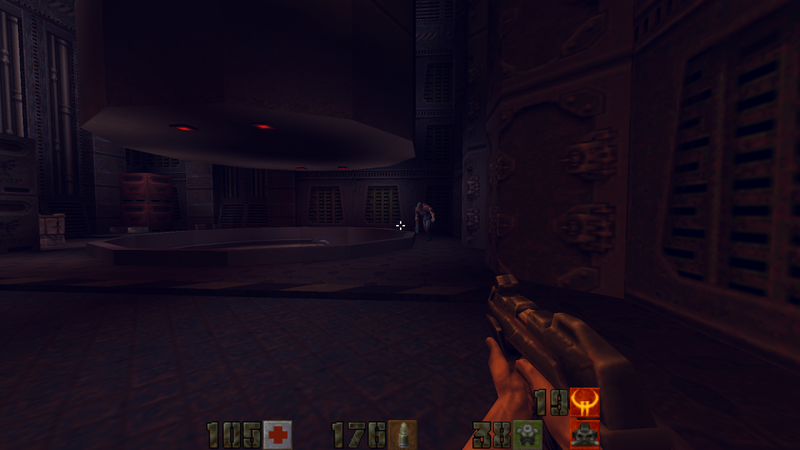 This particular track you hear is Track 8 on the Quake II CD-ROM; the game incorporated Red Book Audio meaning you could play the soundtrack in your regular CD music player. It's called "Big Gun" which is probably a reference to the 7th level of the game (which coincidentally, I'm now up to in my retro playthrough of the game). The "Big Gun" is exactly that: a huge EMP cannon that can disable or destroy any ships entering the atmosphere of Stroggos (the planet being invaded by the Human Marines). The track is haunting, ghoulish and slower-paced than the other tracks that make up the Quake II soundtrack - it's perfectly creepy and evokes feelings of despair.